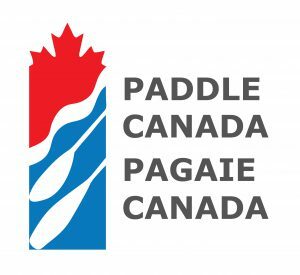 Paddle Canada River 2 skills certification or equivalent knowledge and experience. 1:4 Instructor Trainer to Student ratio giving the best in small group, personalized instruction and feedback. Training courses are non refundable within thirty days of the course start date. Course is refundable less $200 prior to 30 days out. The River 1 SUP instructor course is aimed at teaching basic river skills and safety knowledge pertinent to paddling on Class 1 rivers. Successful instructor candidates possess skills and experience beyond the level they are teaching at (Class 1) and are certified to teach introductory river SUP on fast moving water with riffles, small waves and few or no obstructions. The River 1 SUP Instructor is a critical prerequisite to the River 2 Instructor. Many people want to jump right into River 2 because they paddle at that level but it is very important to get experience teaching and managing a group in relatively controlled conditions before you commit to taking students into more difficult situations with potentially serious consequences. With the River 1 Instructor and experience teaching and guiding at that level then the next step is the River 2 Instructor. Take River 1 – get some experience teaching and guiding at that level – then move on to River 2. If you have completed the Paddle Canada Advanced Flatwater Instructor program, have river sup skills training with strong river experience and a passion for teaching then this course is for you! Secure protective footwear such as water shoes, paddle shoes, neoprene paddle/surf booties. Note: Candidates also need to bring gear that you would carry as an instructor for a paddling session that takes you more than a few minutes away from your vehicles or other assistance. This should include as a minimum group first aid, emergency kit, repair kit, means of communication and waterproof storage.